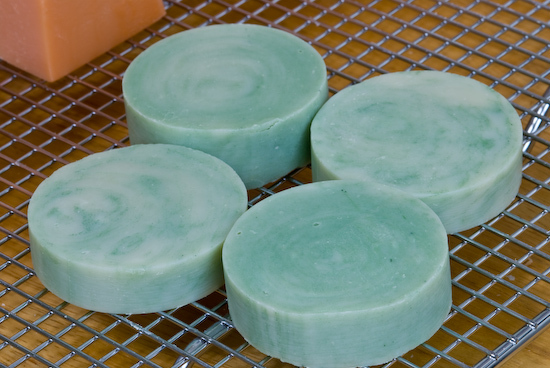 One of the reasons soap making is so much fun is that you get to experiment with various shapes, colors, and scents. These are usually the first things people notice when they are presented with soaps. I think the traditional rectangular bar is quite attractive in its own way, but I also find various other shapes and forms from the simple round or ball to the exquisite specialty mold designs irresistibly charming. There are many different types of soap molds available online and in craft stores, but if you are like me and want a simple and affordable way to add variety and charm to your creations, then you should try soaps in the round.